So I haven’t been very creative in the ways of cooking, baking, or mothering this week. I was going to share a really good banana bread recipe I found, but then I realized we were out of eggs, so I couldn’t make the bread, which means I couldn’t take scrumptious, delicious pictures of the bread for a post about the bread! Anyway, I decided to give you a glimpse into what I’ve been doing on the web this week since I came up short. I’m trying to get back on track diet-wise and not give into pregnancy cravings as much, which has lead me to troll Pinterest for recipes. You may have heard the Pope is coming to the USA so there have been many articles circulating about him. So far, this is my favorite. A friend of mine introduced me to a new maternity wear website. The clothes are so chic and affordable! If you’ve followed my blog for any length of time, then you probably already know I have a few banana bread recipes already in my arsenal. Even still, I was eager to try this one. I’m not ready to move Sophie into a toddler bed, despite our new arrival coming soon. I’ll want her to stay in the crib until she’s at an age where I can rationally explain sleeping in a big girl bed to her. So where will baby #2 sleep? 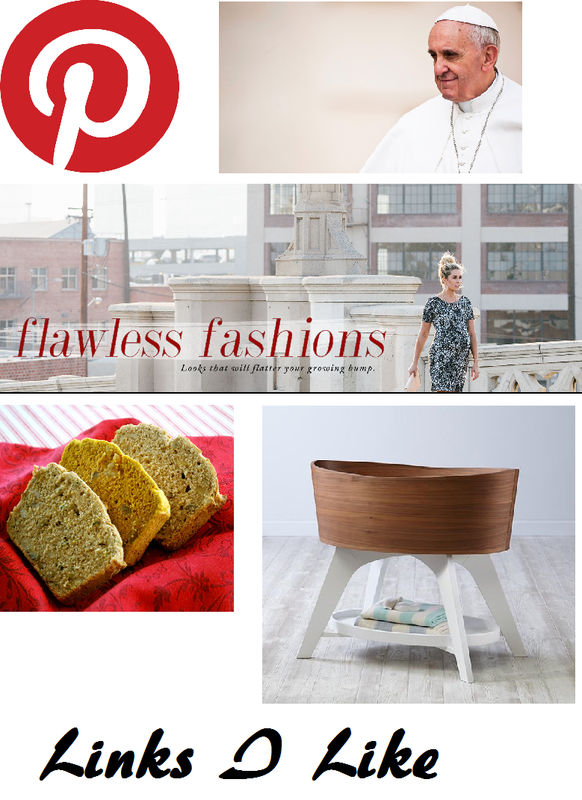 I am currently in love with this bassinet! Otherwise, I haven’t been up to too much. I’ve been exhausted, anticipating our trip to New York in a couple weeks, house hunting, planning a gender reveal, and trying to mom. What have you been up to?